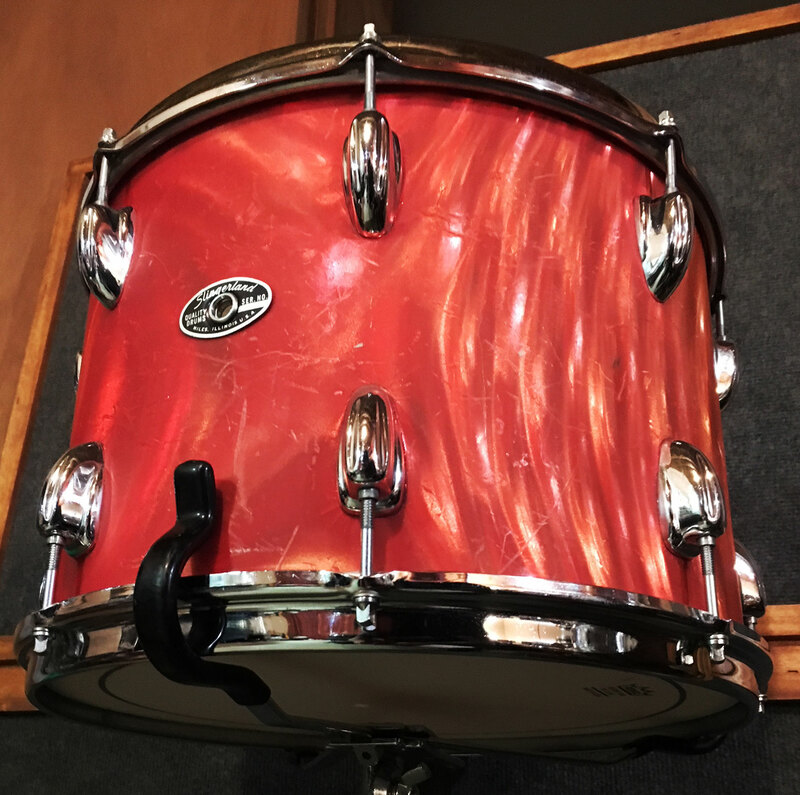 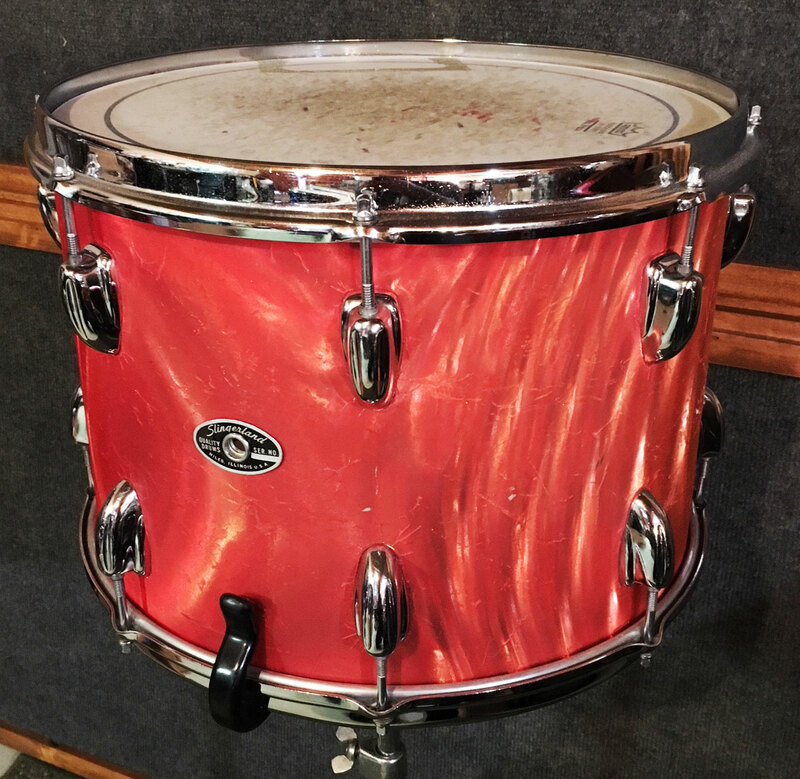 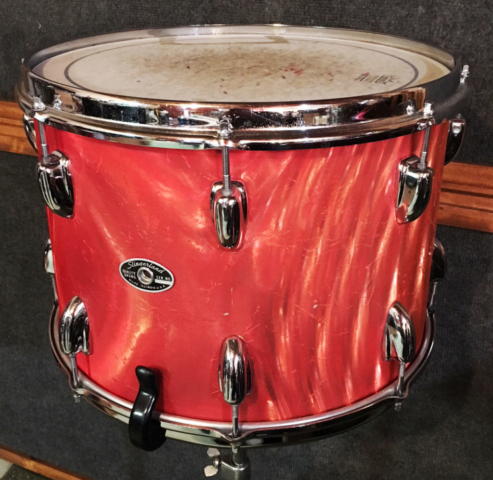 1970s Slingerland 14″ Tom in Red Satin Flame | MKE Drum Co.
For sale is a Vintage 1970s Slingerland 14″ Tom in Red Satin Flame in decent shape. 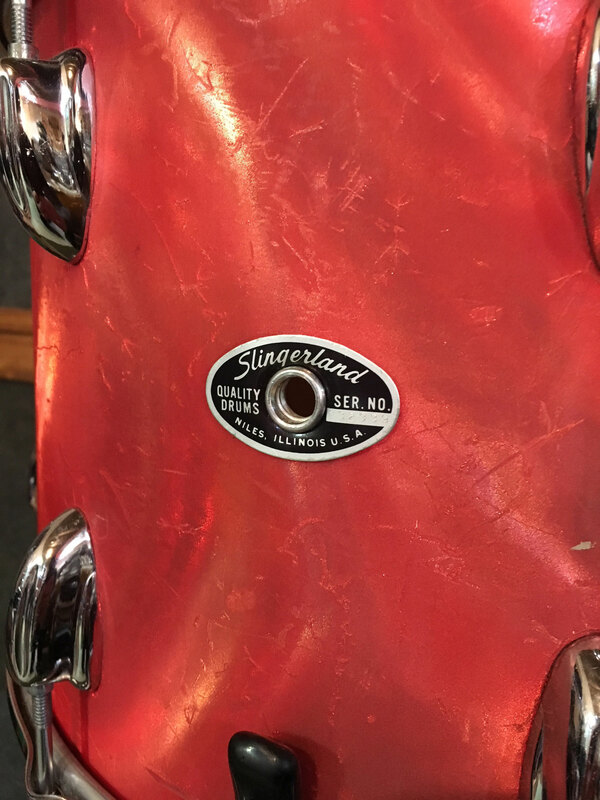 Shell is in-round with decent original bearing edges and clear maple interior. 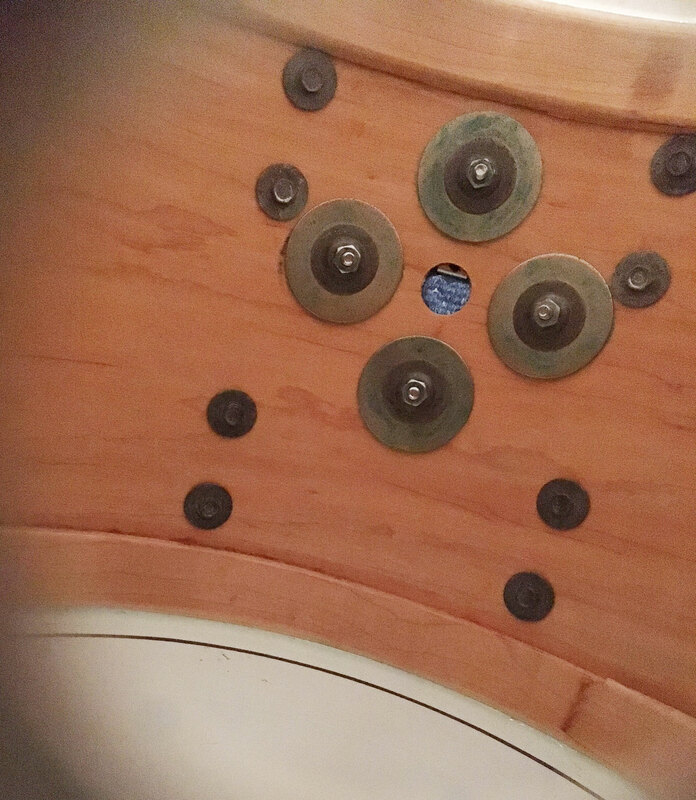 Chrome hardware has some oxidation, pitting and wear. Wrap has considerable fade, scuffs and scratches. 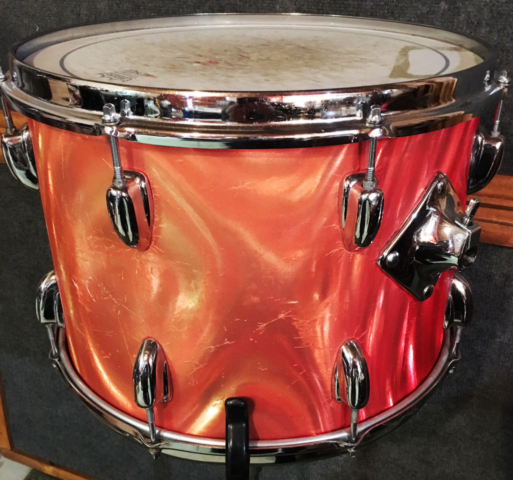 A solid drum to gig with or nice rewrap candidate.